A flier promoting a free dental consultation and a free blood sugar test. The body copy is reproduced at the bottom of the page for your convenience. The empty box is for the address. 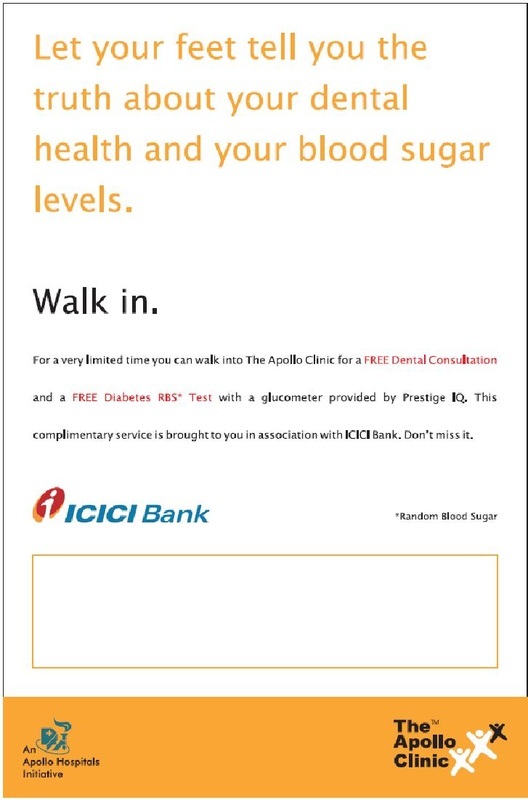 For a very limited time you can walk into The Apollo Clinic for a FREE Dental Consultation and a FREE Diabetes RBS [Random Blood Sugar] Test with a glucometer provided by Prestige IQ. This complimentary service is brought to you in association with ICICI Bank. Don't miss it.